The Ascom DECT solution from Integrated Wireless is deployed in hundreds of hospitals, aged care facilities, prisons and manufacturing sites Australia wide. Integrated Wireless is delighted to announce the arrival of the latest generation of the Ascom 9d24 multipurpose DECT phones. The 9d24 mkII DECT phone range is lighter, has a longer battery life and a brighter screen than its predecessor. 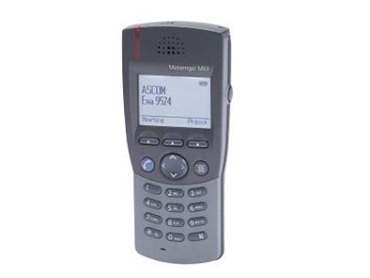 Fully backwards compatible, the 9d24 mkII phones will work with any Ascom DECT system or any GAP compatible integrated DECT system in a PBX or an IPPBX.